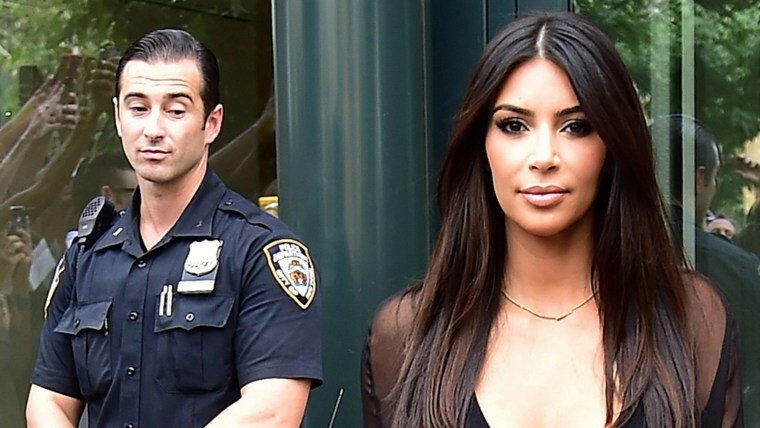 At least one member of New York's Finest is keeping up with the Kardashians. In a new photo taken in the city's Soho neighborhood, Kim Kardashian is seen exiting a building dressed in a form-fitting black skirt and a mostly sheer black top with a very deep V-neck. The reality star's eyes are locked on the photographer snapping her as she approaches the camera. 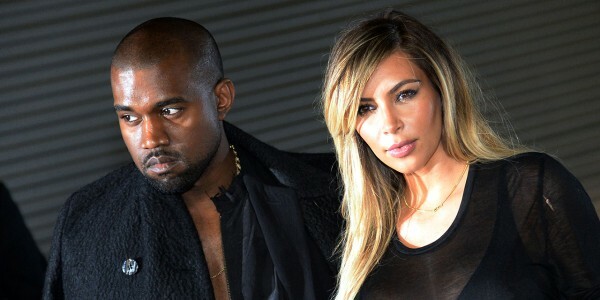 In the background, Officer Friendly's eyes are not locked on the camera, and instead, the unidentified policeman focuses on Kardashian's world-famous figure as she passes him. The windows behind the officer reflect a crowd of paparazzi and fans trying to get the best shot. Kardashian used her Instagram feed to share the cop photo on Tuesday along with another shot that showed off her Givenchy threads and the crowd with cameras on the sidewalk. And she also shared another image of a different gentleman who she thought was checking her out as she entered a building on Monday in a different dress. She captioned the photo, "What is he looking at?" On Tuesday, Kardashian strutted over to TODAY where Matt Lauer caught up with her and discussed her popular "Hollywood" app. Get to know Kim, Khloe, Kourtney and the rest of the famous reality-show family.